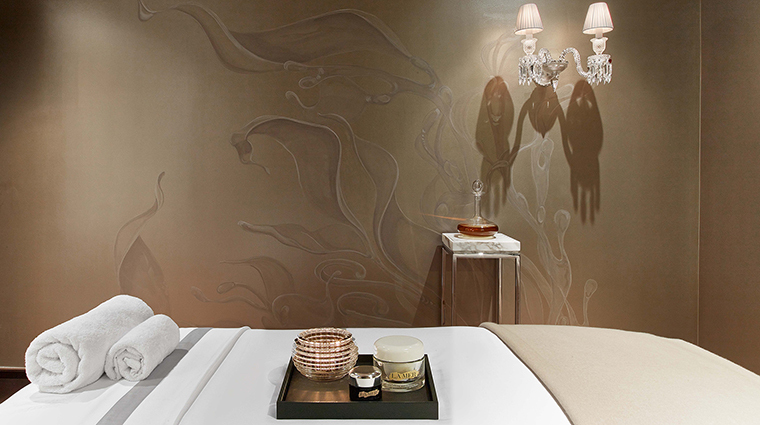 Upscale hotel spas are plentiful in Manhattan, many visited by New Yorkers and tourists alike. 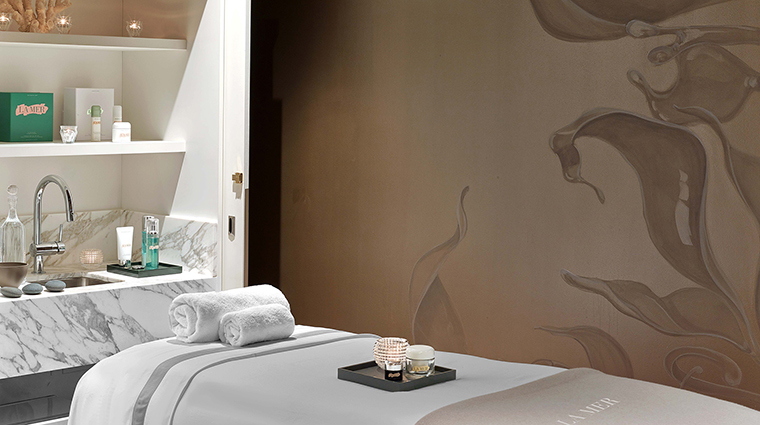 But if you want some of the most indulgent facials in the city, Spa de La Mer stands apart. 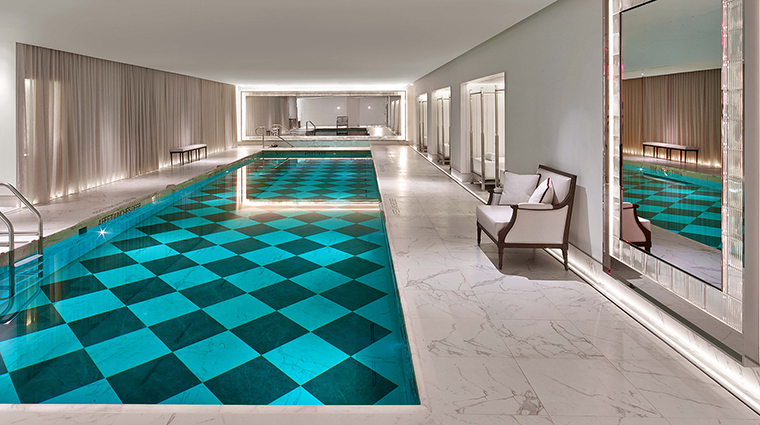 Located in the luxurious Baccarat Hotel and Residences across from the Museum of Modern Art, it is the first North American spa from La Mer, a skincare company whose lavish moisturizing cream has an ardent following, especially among celebrities. Of course, facials are the specialty here. Opt for something like the La Mer Purifying Facial, which deeply cleanses and exfoliates with diamond powder, or have your therapist custom design a course of treatment based on your skin’s individual needs. 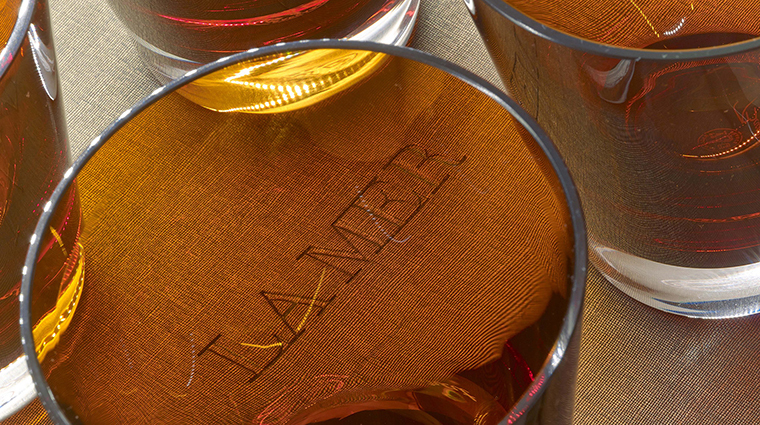 Meanwhile, the Baccarat hotel is the first property for the 250-year-old French crystal brand founded by King Louis XV. Together these crème de la crème companies offer a match made in spa heaven. 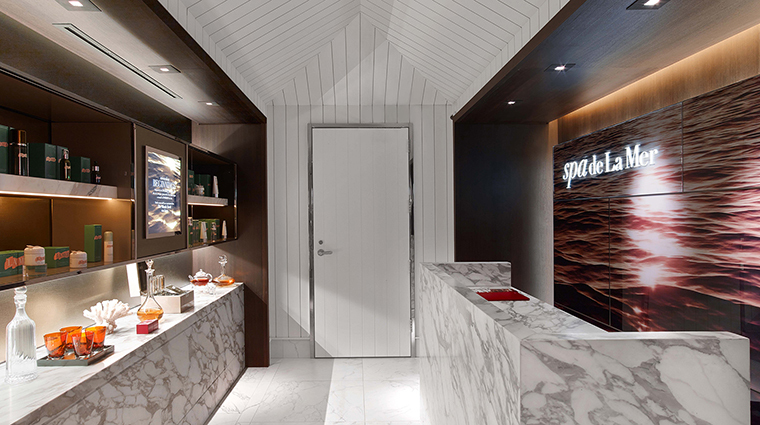 As the sole La Mer-branded spa in North America, this a must-visit destination for devoted fans of the beauty line. 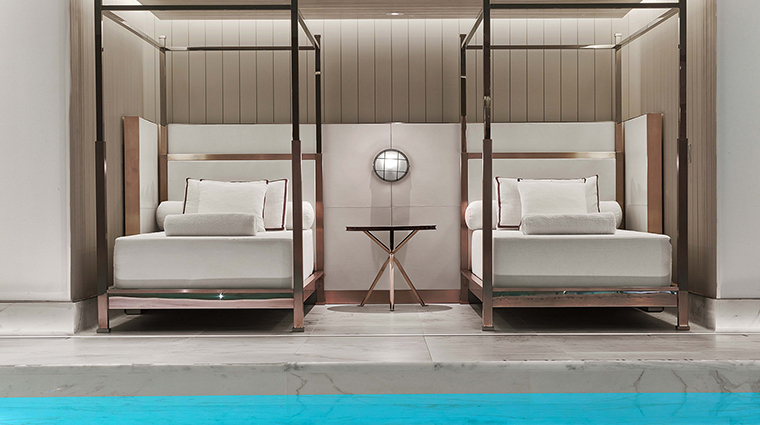 The European seaside served as the theme for the Gilles & Boissier-designed spa featuring warm champagne and bronze tones accentuated with Italian marble floors in the lobby, and custom Baccarat crystal sconces in the treatment rooms. 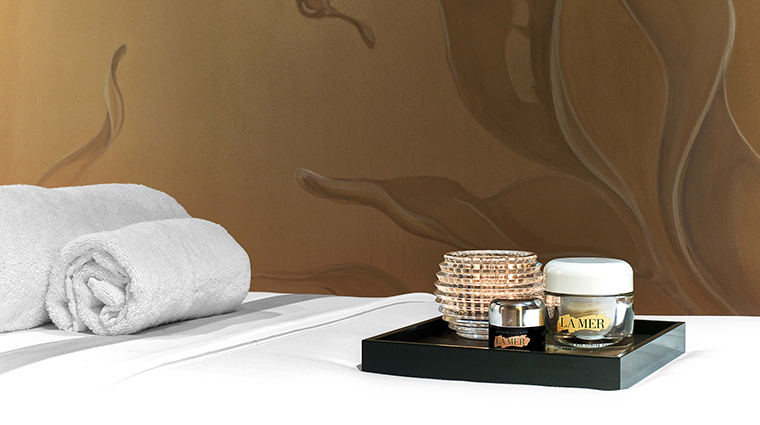 The Manhattan spa is known for its luxurious facials featuring La Mer’s world-famous products. 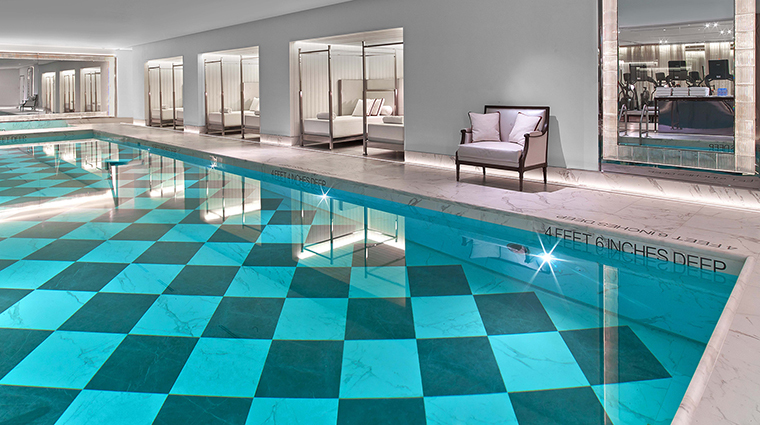 The spa features a 55-foot heated lap pool with a checkered floor and lined with white day beds inspired by the Cote d’Azur. 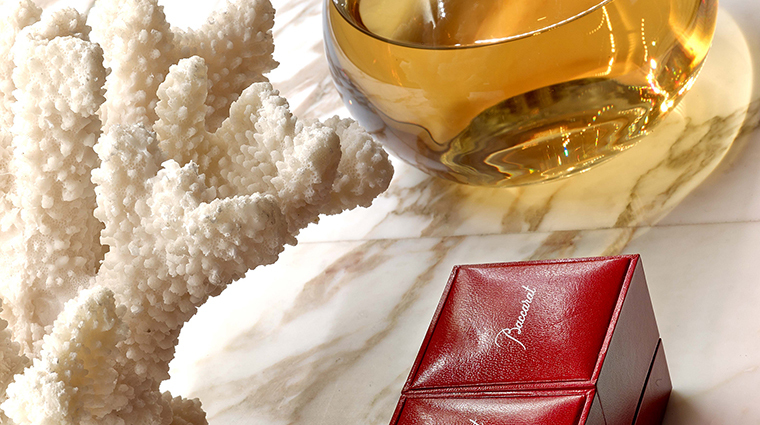 For an elegant touch, the plush white towels found at the spa and around the pool are thoughtfully scented with the Baccarat’s signature floral-woodsy fragrance, Rouge 540. The New York City spa is tucked away two levels below the hotel. 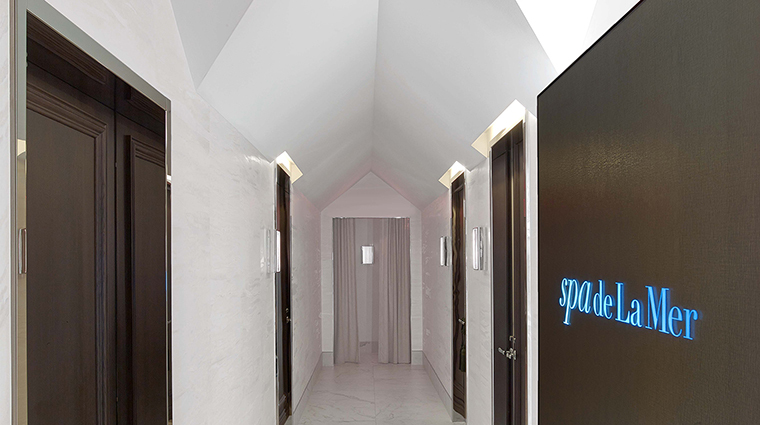 Spa de La Mer is a boutique spa with only four treatment rooms and no rooms that accommodate couples. 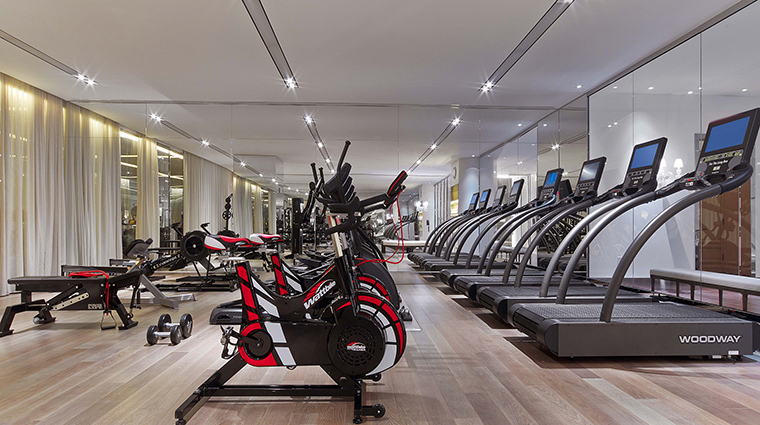 Spa guests do not have access to the 55-foot indoor pool or fitness facility. However, you can use them if you are staying at the hotel. The La Mer Baccarat Facial is a multi-sensorial experience to make your face look as flawless as crystal. It includes deep breathing, a diamond-power exfoliation, a warming massage with signature Victory Stones and a cooling Icy Crystal Star technique. Revive your skin with the La Mer Miracle Broth Facial. It uses the Miracle Broth, which is exclusive to the spa and is known to extract the five facets of renewal – moisture, regeneration, soothing, smoothing and radiance. If you’re short on time but still want luxurious pampering, go for the 30-minute La Mer Eye Focus Treatment. It softens the appearance fine lines, dark circles and wrinkles from tired eyes. Also available are body treatments, including massages, body scrubs and hydration add-ons. Look out for a stunning mural of sea kelp in the treatment rooms, hand-painted by local artists Lynda White and Jeff Wood. Surrounding the pool, walls bear paintings from François Houtin, who specializes in prints of utopian gardens. The black-and-white forest scene depicted recalls the woods near Baccarat’s French-countryside factory. Post-spa, head upstairs to the modern second-story lobby complete with a grand salon, bar and a terrace. Peek at the rest of the hotel, which also was designed by Gilles & Boissier. There are 16 breathtaking Baccarat crystal chandeliers throughout the property, many of which dangle on rough cord rope and one is even made out of wood.